Take the initiative to contact high-quality talent. 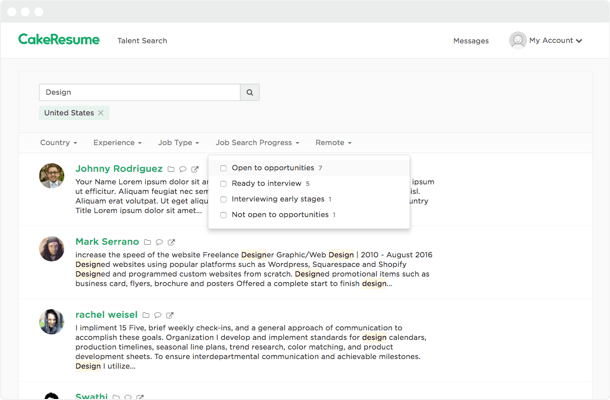 Keyword search and advanced filter allows you to find a suitable talent in no time. 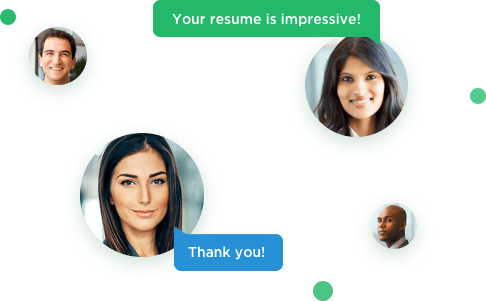 Built-in chat feature allows you to contact job seekers immediately. 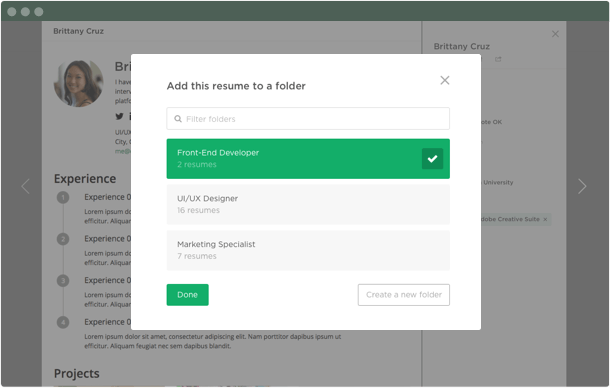 Save your favorite talent to a custom list to save on management costs.